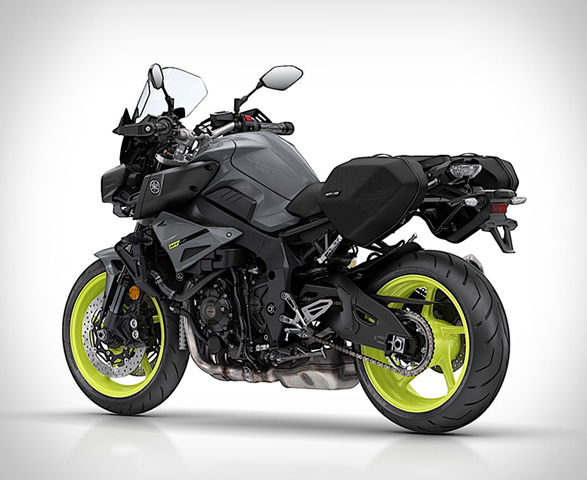 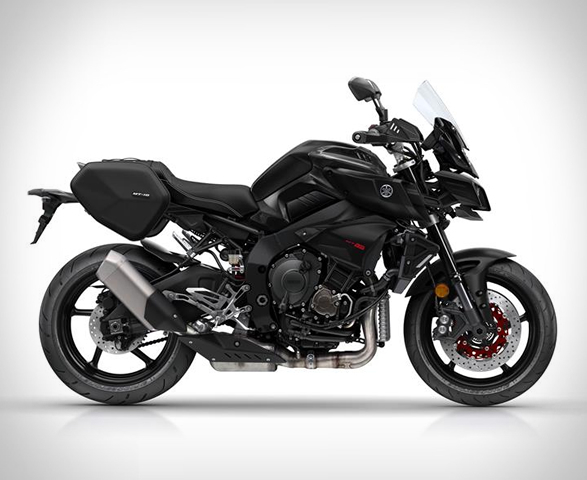 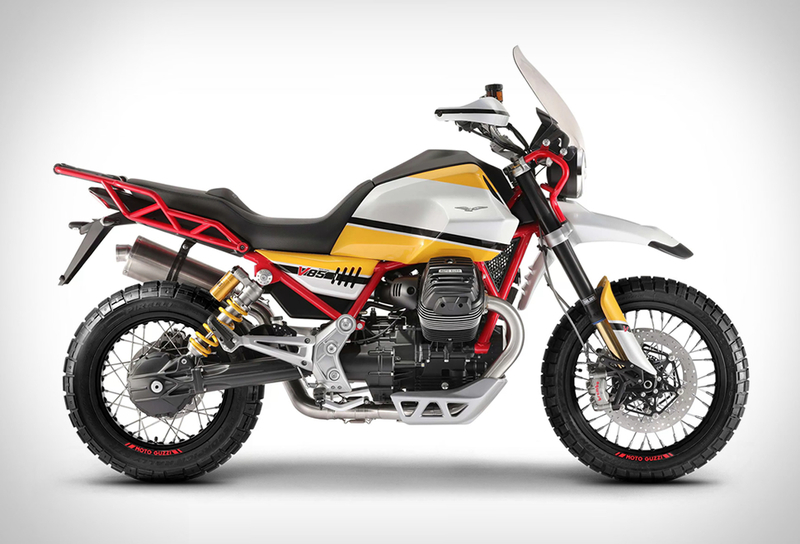 The Yamaha FZ-10 is generally seen as a street fighter, and is known as the MT-10 in Europe. 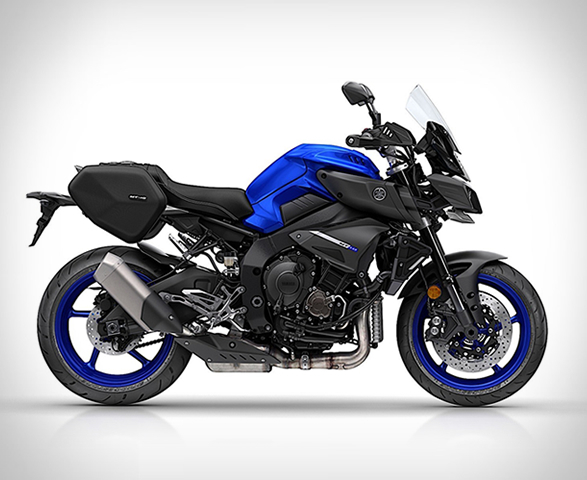 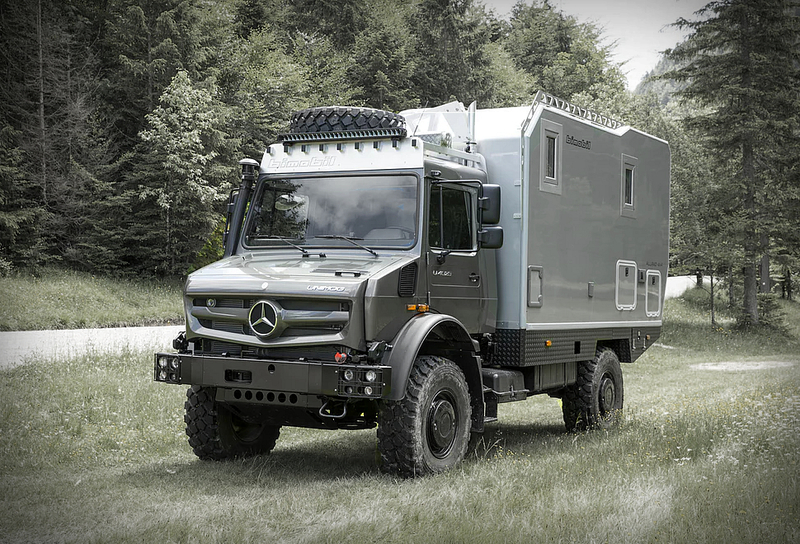 Now Yamaha have introduced a new special edition to enhance the bikes comfort on longer trips. 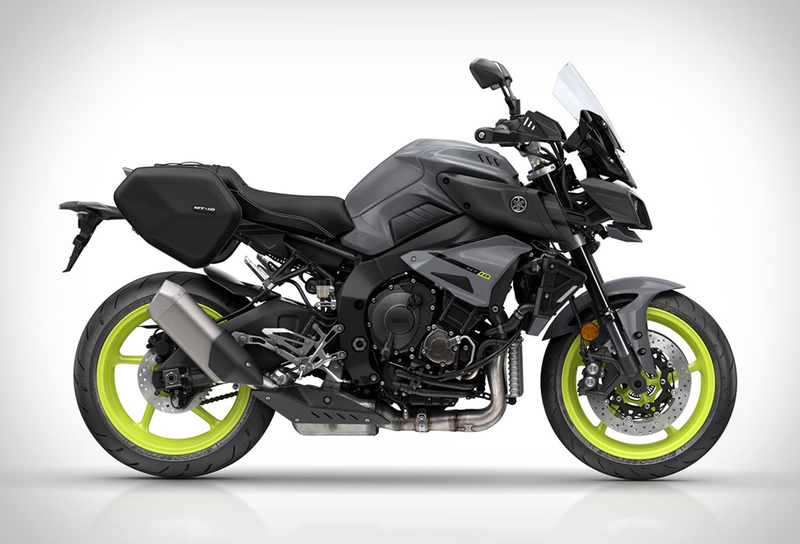 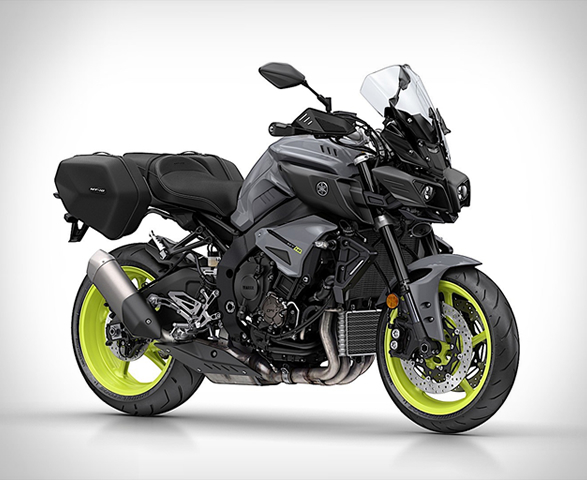 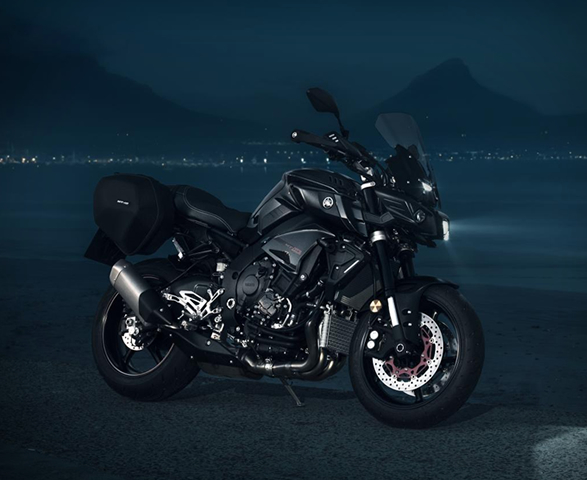 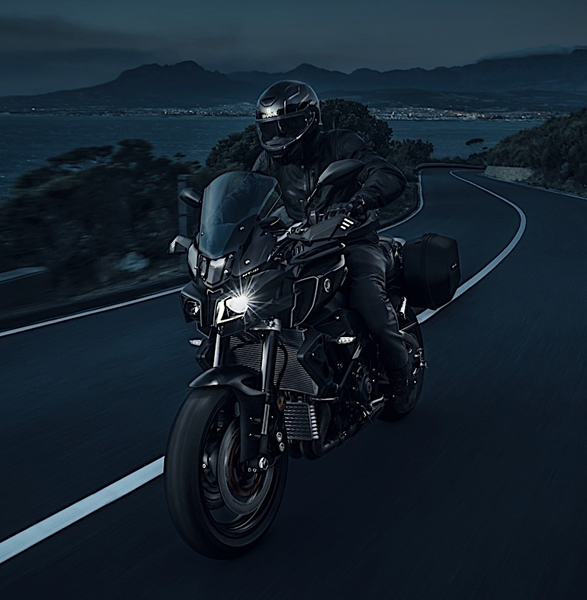 The Yamaha MT-10 Tourer Edition features a range of specially developed touring equipment that includes soft ABS side cases, a high sport screen, knuckle guards, a comfort-specific seat, a variety of different riding positions, cruise control, and optional GPS support via TomTom, turning it into an even more versatile and functional motorcycle, capable of covering longer distances at high speeds.